1. Design in 8-inch Length, 20kg / 44 lbs load capacity. 2. 3mm thickness, good Load-bearing performance in some heavy-duty application. 3. Made of carbon steel material with zinc plated and powder coated black, longevity, resistant corrosion, good toughness. 4. Offset mounting holes for extra strength and to prevent wood from splitting. 5. Designed for applications with narrow mounting surfaces, such as gates, cabinets, barn and shed doors, storage bins, tool boxes. 4. Mounting screws are included here. 3mm thickness, good Load-bearing performance in some heavy-duty application. Made of carbon steel material with zinc plated and powder coated black, longevity, resistant corrosion, good toughness. Offset mounting holes for extra strength and to prevent wood from splitting. 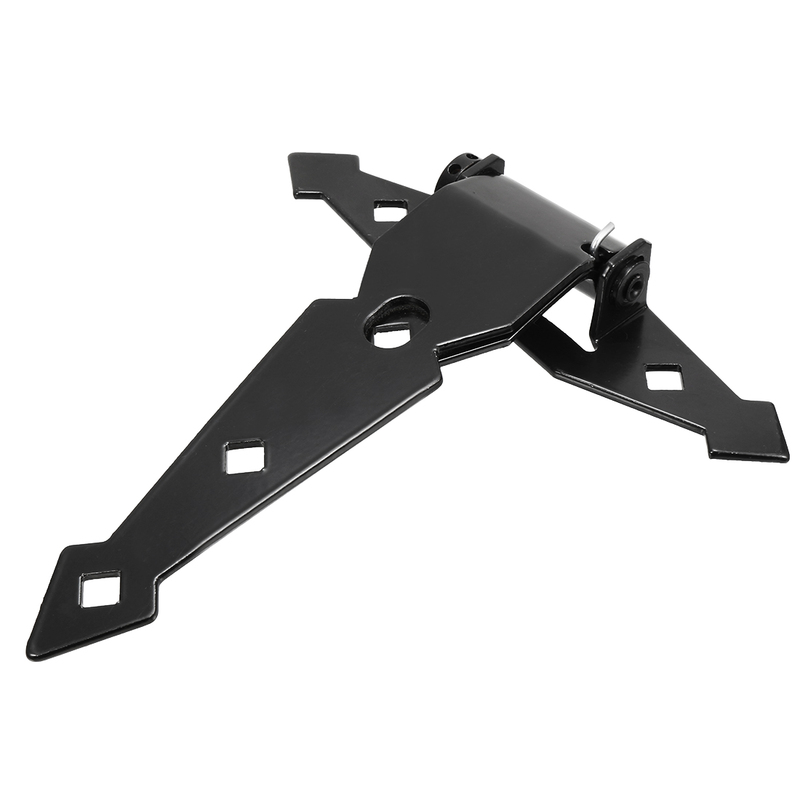 Designed for applications with narrow mounting surfaces, such as gates, cabinets, barn and shed doors, storage bins, tool boxes.